Bitcoin ETF: A moment of silence for Ripple shorts… and all the others. I have never ever seen short interest rise to much along with prices moving higher at the same time. This is actually kind of fascinating, Ripple. 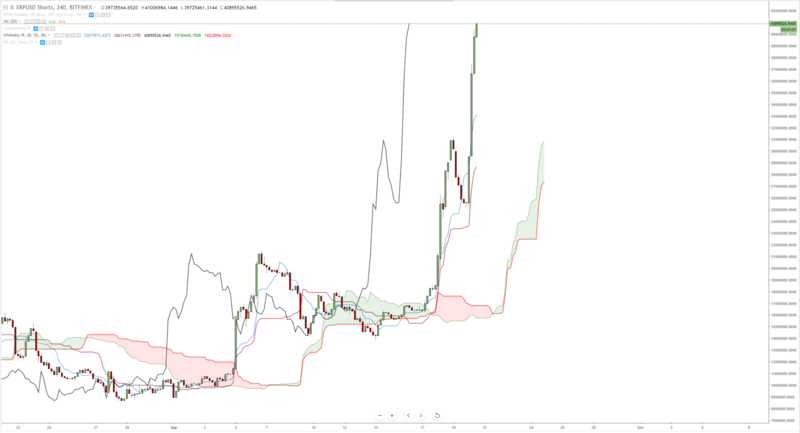 A short chart like XRPUSD Shorts should look ‘bullish’ if there are a crap ton of people shorting XRP. If that is happening, then we should see XRP tank – well, that’s what is suppose to happen. Did it? Hell no. Instead, as XRP has moved up, so has the short interest… with no covering yet. 1. If XRPUSD maintains a high percentage gain during the end of the regular US trading session, then a sell-off should occur with the XRPUSD Shorts chart – which means shorts are covering creating a short covering rally, which would see XRP rise even higher. 2. XRPUSD could experience some profit taking and return to test the 0.34 level, with some shorts covering those positions and limiting and further downside pressure. It is difficult to see a scenario where the short interest could rise significantly higher after already breaching historical highs. Look at this chart – the XRPUSD chart. 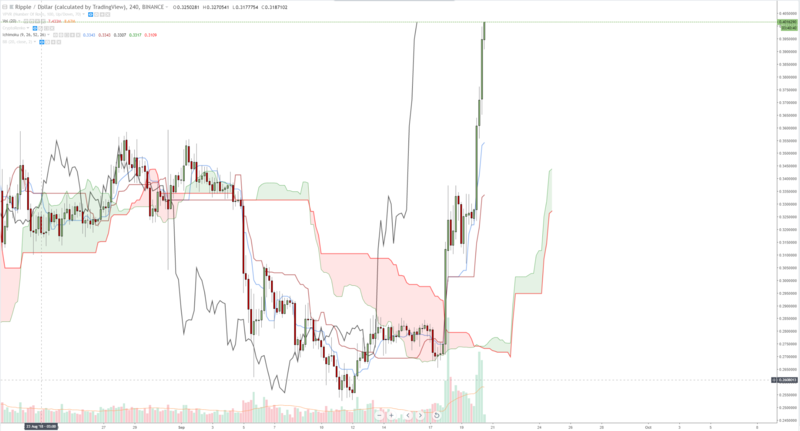 Now look at this chart, the XRPUSD Shorts chart. If XRPUSD goes up, XRPUSD Shorts should go down. That isn’t happening. But it’s not nearly as crazy as all the whipsaws and volume pouring into the market. Why? Because the SEC is seeking more public comment on the approval of a Bitcoin ETF by the CBOE. Sounds like the CBOE, the first to offer Bitcoin Futures, will have the honor of offering the first Bitcoin ETF.